The Confederacy of Independent Systems has been a growing faction in the Southern parts of the Galaxy, bringing many planets who do not wish to be ruled and changed by an Empire, under its wing, ensuring their independence. The Confederacy has one major rule - thou shalt not take slaves. But now, it seems something potentially worse than slavery is happening. Someone is stealing children, and all signs point to that someone being within the Confederacy. The Knights Obsidian are tasked with the mission of finding out who has done it, why they have done it, and above all - save the children. The only thing that is known; a cult that has already acted against the Confederacy before is involved - the Aeshma. The Archivists of the Knights Obsidian have discovered where the children were taken to; an alternate dimension in which the cold and the snow are bitter and harsh. But there are only three roads that can take a person to that dimension, and each road can only be traveled once. If the Knights Obsidian cannot find the children in that dimension and bring them home before the protection that guides and shields them burns out, they cannot hope to escape, and they will fall prey to the Aeshma - in both body and soul. While this mission is KO-centered, anyone else from the CIS may join! Let's start with a round of meet'n'greet, and then dive into the mission! Edited by Scherezade deWinter, 21 January 2019 - 04:34 AM. The Conference Chamber for the Knights Obsidian was ready. Every single member of the KO as well as some other high-profile members of the Confederacy had been invited. The briefing would be simple enough, yet sadly, Aoife, one of the Archivists, knew that the mission would not as easy as some might think. There was much to cover about what was to happen, an the mission would be strictly voluntary. Force knew if they would even have enough people to lower the amount of potential dangers. Children. They had targeted children. The mere concept of it was vulgar to her. Why would any stoop so low simply to draw the Confederacy out? And yet she knew for a fact that even if the mission would be successful, even if they all came back, even if they would find all the children… It would not make them stop. "Thank you for joining us here today," Aoife announced as soon as everyone was gathered. "As many of you have heard in recent months, there is a plague that has taken the Galaxy over, and children have gone missing, most of them from their very homes under the noses of their parents. Many governments have been trying to track down who the culprit might be. And in the process, all arrows have begun to point at the Confederacy Cloud Space." It was a mess. It was a mess they were going to have to clean before potentially bringing down more opposing forces upon them than they could handle. "As such, this is our mess to clean up. The Archivists of the Knights Obsidian have been working night and day, but we had been looking at the wrong direction. Like everyone, we tried to find clues as to who might have done it, but as soon as we instead tried to look at where the children have been transported to. If so many are missing - where are the bodies?" Aiofe paused. She had written the words in advance, they were right in front of her. Yet even the Knights Obsidian, who used the Force as a tool, who were used to making use of it… It sounded so unreal. Almost impossible. "To make it short, the children are in another dimension," she finally said, looking at the crowd to see their reaction, "which means the rules are different. We cannot drop on them with an SSD, we can't drop on them with a million droids. We can't even take droids to that dimension - only organics. We are not even certain at present that weapons would work. It has taken thousands of hours by hundreds of researches to understand how to even access that dimension - and learn of some rules that will guide those who join the mission." She had never thought she would be speaking of such things. "The dimension has some strange complex word that essentially translates into Winter. There are three ways that can be used to get in or out - but each way will only work once. When you are there, you may found a few of our numbers that are stuck there, for now, permanently. Those were the first who went, who did not know. The three paths are tears, blood, and candle light. The candle light path includes a long and complex chant that Force-imbues the flicker of a candle. Those who go on the mission will receive it. All you must do is light it and take a single step, and you will be in the Citadel again. Alternatively, you can light it here, take a single step, and you will be in Winter. Tears and blood can be used in a similar fashion. Once you arrive in Winter, your job is to get as many children as possible out. You will not have much space to dance around or take too wild guesses - these children have been transported to Winter once and will only be able to go back home once as well. A third time… And they will be stuck there. There is a possibility that some of you will not be able to use racial abilities - we had one Shi'ido that died in Winter, but said he could not shift. We had one Zeltron in there, her pheromones did not work as they do here. However, other species and their abilities worked just fine. This, essentially, is all the information we have. This mission is strictly voluntary - we will not make anyone go on it, but the Knights Obsidian, backed by the Confederacy, will do all we can to make sure you are equipped as best as you may be, and we have your back in case you make it back but things go wrong." There were really only four things to give them; a candle, a small machine that would make eyeballs produce tears, and a small machine that would bring a single drop blood forth from the heart. The latter two machines could be used multiple times; hopefully, they would be used on the children, to send them back. And of course, they'd be used to return to Geonosis as well. "If there are any questions, this would be a good time to ask them. If there are not, Pathfinder Madalena (Scherezade deWinter) will lead this mission. Sign your name on the roster if you are joining. Your group will be gathering beneath the Citadel a few hours from now." Meet'n' Greet time! Meet other members of the KO and the CIS that will be joining on this mission, and then we'll jump straight into it! Edited by Scherezade deWinter, 21 January 2019 - 04:44 AM. Corpses littered her bed chambers on Rishi, souvenirs from some of the gravesites she had visited. They were each standing on their own, lifeless sockets for eyes gazing into nothing but the stone walls. As she sat on the edge of her bed, she tilted her head to face her knees, sitting like that for several minutes in silence. It was sometimes hard to tell herself apart from the dead. She had seen and risen so many, felt their residue from a life before, and been refused their service in death. Some would last only seconds before finding their own deaths once more. Some lasted days. They resisted the brand of life she gave them, some even lunging or biting or clawing at her flesh in protest. Perhaps a more skilled witch could have subdued them all the same, but Fawn was no such witch if one even existed. She rose, a blanket to cover her naked body as she made her way out of the room, the shuffling that followed always serving as a reminder that being alone meant something different those days. It was a small, abandoned home in the mountains, something that could be fixed up with manual labor provided by her only followers, the ones that gave in to the curse of life. They prepared her a meal as she sat down at the kitchen table, resting her head on her arms. The blanket was still draped over her, not for modesty but for warmth, as the mountains were often too cold in the mornings for her liking. There was a time when she had planned to raise an army, to be one of the galaxy's greatest, to thrive and drown in power greater than herself. It was just that, however; greater than herself. A toll always needed to be paid to gain power, and Fawn didn't have what that toll had asked of her. While she lazily drew the fork from plate to mouth, she realized she had received a message. The Confederacy, no doubt. Matters of governing bodies were of no concern to her by then, but she was still a witch. Sometimes these things benefited her, like the dragon that hatched from the obsidian egg she was gifted with. She didn't yet know what use a dragon would have for her, but it was likely better to have one than not. "Rotkark," she said to one of the dead standing about. "Feed Rarice while I'm gone." It was the most well-trained corpse she had available; it knew what she was referring to. If not, Rarice would simply feed on one of them instead. Holding her chin up with the palm of her hand, she vaguely listened to important details while trying to avoid having her mind slip off into something more interesting to her. It had been so long since any of these faces crossed her mind, and yet there they were, old or new, better or worse. A part of her wondered what they had been up to for the past several months, but another part of her had already lost interest by the time they were speaking to one another. Social activity. Surprisingly enough, spending her time with nothing but corpses day in and day out didn't leave her the most prepared for being social. Unless they all dropped dead, she might not have had much to say to them. Edited by Fawn Alzi, 21 January 2019 - 06:52 AM. For once in her life time Kurenai was uncertain, the countless battles, near death experiences and training could never prepare someone for what this mission had in store. Traveling to a different dimension, one that could have any number of strange laws of physics containing some strange cult of child kidnappers from which there was almost no return. Surface to say she was hesitant to step forwards despite being one of the most experienced people here but even still she felt compelled to do it. most of these children probably had families of some kind, families that were no doubt deeply saddened by their disappearance, a feeling she knew all to well. She would not stand idly by and let these cultist get away with what they had done, even if it meant risking her life into the unknown, to a world were her strength could vanish in an instant. Looking around she breifly gazed upon the face of those present, in but a few hours she may not see any of them again. Would it bring sorrow to them if she were to not come back? maybe, though in all honesty Kurenai wouldn't count on it. In the years CIS serving years the onyx haired women had not really grown close to anyone, most were just comrades, others maybe acquaintances. Though in light of this mission such would probably be for the best, a solider was only as strong as their moral, break that and even the best fighters are next to useless. With a renewed sense of purpose Kureani stepped forwards, quickly signing her name down, silently moving over to the side, standing in front of Madalena. "Well this is going to be quite the ride, I know I've looked down on your for being a young blood in the past and questioned the reasons why Cardinal promoted you to team leader but in this instance I will be looking you for guidance". "The other knights here trust you and so do I, but still if anything should happen I hope you make sure to do the right choice". "Don't try play hero, in my many years on the front lines I've needed to leave people behind, make sacrifices I'd rather not make". "While we in there you must not hesitate to do the same, if it comes to someone like me or those kids while inside pick the latter, no matter the case, you understand that"? Edited by Kurenai Yumi, 21 January 2019 - 07:24 AM. This mission and the people it was against, pushed all sorts of buttons in the Arch Psy-Pire that it wasn't a good idea to push. Thousands of years before this...chaos...she had awoken to in the galaxy, she had grown up, slowly but steadily losing all her older brothers, and watched what that had done to her father. She'd felt awful for him, but it was from the perspective of a daughter, not a parent. Bobbi, son of Roddi, grandson of Poppi, great grandson of Robbi, the first among her fathers retainers and bodyguards before the fall of the Original House of Li-Ves. The descendants of Robbi had eked out a miserable existance in the shadows of Atrisia after her house was outlawed, and it was not until she had returned to Atrisia to save it from the energy vampire plague released by her own future home, the ancient starship known as Castle Morpheus, that those same descendants had come out of the shadows, refusing to let the memory of her clan be completely eradicated. She had worked alongside Bobbi's grandfather Poppi. After being imprisoned by Darth Shojo for nearly a century, emerging as the first Psy-Pire (And currently the only Arch Psy-Pire), it had been his grandson Bobbi, and a small, five hundred strong cadre, all that was left of the ancient house's descendants besides her, that had made the dangerous journey to the necropolis to extract her, sworn to serve the Li-Ves to their dying breath. Nine had been quite insane at the time however, having overdosed on eating Shojo's memories and had turned her cult leader settings to the max to indoctrinate Bobbi and the survivors, brainwashing them to serve as her Knights. Her first children. Bobbi had been the first she had ever given her blood to. He had been literally the very first of the baseline species. Heavily brainwashed at this point but she wasn't alone anymore. Bobbi's death had hit her hard, harder than the others who had died recently...losing one's firstborn was different from losing other children somehow. At least he hadn't gone down like a punk...he had taken a most impressive number of undead with him. But it still hurt. They were still making funeral arrangements...there hadn't been anything left to bury since he went out like a action hero. And Nine, already raw, finally knowing what it was like to be a parent who'd lost children, was all sorts of upset at these cultists. Either they didn't know the pain they were causing or they did but didn't care. Either way, if Nine caught one of the bastards they were dead. She hoped she found a spike to impale them on. A long one, hopefully with lots of those teeny tiny little custom barbs they sometimes did on spikes made for impaling people. Wait...did they do that anymore? They'd done it in her day, certainly. The Arch-Psy Pire walked in, clad in her knight obsidian armor, the seven foot woman's height rivaled only by the presence of Kurenai Yumi, still with that marble-carved beauty she had never seen replicated on another face. Her fingers and head twitched incessant, fingers taking an instinctive clawed gesture as her body registered prey in the room. She had no control really over that bodily reaction...it came with the territory. But apparently, the territory they were going to was a little out of the way, even for her. Another dimension...did she have an evil alternate self in that dimension? Did her evil alternate self have a beard? Nine knew that was, of course, a stupid question to be asking, so she didn't voice it while the mission was explained, the twitching, armored, ungainly woman instead only wordlessly signing the roster. "Lets go rescue some kids..." she said in her deep contralto afterward. She had come heavily armed, her fingers twitching over her lightsaber, having at last broken her one taboo over Bobbi...she was choosing to use them once more. 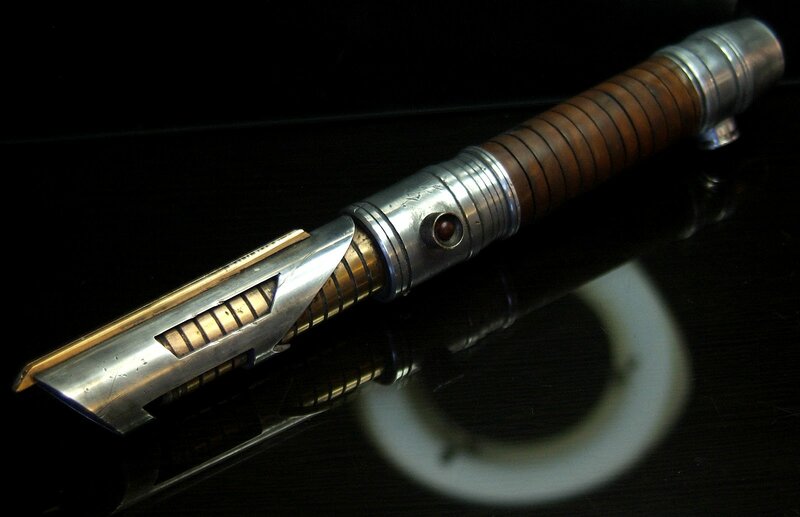 Nine was no longer ashamed to use one without being a Jedi. She had come to accept she would never be one again. Just as she...reluctantly...learned to accept being the leader of her children when not in the fugue state she had originally created them in. She was in it with both feet now, and, for better or worse, at peace with that choice. Edited by Nine Lives, 21 January 2019 - 11:59 AM. Having a notion of what was going on ahead of time. Ithiel had packed extra, much of his extra equipment was stored in a large green kit bag. Aware that not all gear would function where they were headed, he’d sort through it when they arrived. There was a rifle on his shoulder of some description, a jetpack on his back, a saber on the hip, and other equipment around his belt or wrist. He wore some dark amber house Vi’dreya’s durasteel armor, with the family symbol clear on the side of his shoulder. The extra tools in his kit bag caused his arm to tense to hold. Honestly, it had been a minute for Ithiel too since he’d been away. On top of that the drugs were still leaving gaps in his memory and things were not fully clear. He knew none of the faces except one. A lot had changed. A lot had stayed the same. The crusader placed the bag down by his side in the briefing hall, crossing his armored arms and listening to the full outline of the mission. He had questions but they would wait. Duty first. Bonus that it was saving children. Walking up to the roster he lightly saluted Scherezade deWinter fist to chest and quietly signed himself up. Picking up his bulging kit bag on the way out. “You’ve got me.” There was a smile, before it disappeared under the amber helmet, as did the rest of his face. He nodded to anyone else that looked his way and made his way down to the staging area to check on his gear. He wanted time to see what the techs said about what weapons might work, or might not work, gathering any intel he could to help the Knights before they departed. Extra weapons and tools in a kit bag. Edited by Ithiel Vi'Dreya, 21 January 2019 - 01:00 PM. Images flashed in his mind. The screams of small children filled his ears. It was happening again, but it wasn't. For weeks Asher had been having these dreams only to have no guidance from the Spirits as to what they meant. He still refused to remain on the Mandragora Mother ship with the rest of the witches. No, the devout servant of Lylek prefered the solitude which came from living in the shadows and near the forest edge that the night side of Ryloth provided. Naturally there were those who felt that he was in danger of being eaten by a Lylek, but it was symbol of the spirit that had claimed him. Asher knew he would be safe. "You must go to Geonosis," the haunting a slithering voice of the spirit whispered in his mind. Asher stood and pulled on his clothes, simple pants and furs of a man who made his home in the woods were all that he wore or even owned. Anything else he needed the Mandragora or the Knights Obsidian could provide. Asher had learned, however, that most of his needs in combat could be solved by being faster, better, smarter, and less visible, than his opponent. The typical rogue who wielded magic was the approach he took to combat, and of course the veridian bladed lightsaber hung from his hip for protection. It was all he needed for now, so it was all he took. Asher arrived when Aoife was in the middle of explaining the situation. That explained the dreams. He nodded to the Knight that handed him what he would need to travel between dimensions, and looked around to the other faces he saw. There was at least one other witch (Fawn Alzi), one Asher did not know too well, but recognized. If they were dealing with other dimensions, then they would be needed. The spirits they communed with were interdimensional beings, and that would prove to be of great help to the task at hand. They were being sent to save children. Children were the future of any people, and as such it made sense that this cult was taking them. Asher did not like it, but he could not fault that portion of their logic. The long haired servant of Lylek approached the other witch. "They are going to need us. If the candles are imbued with magic, then our magics will work for us there. Perhaps the spirits will be benevolent and lead us to the children." Edited by Asher Mossa, 21 January 2019 - 03:07 PM. The Tusken sat atop one of the canyons of the Jundland wastes he was meditating. Letting the Force guide his thoughts. He used to find it harsh living under the dual suns. But now he just finds it normal. Feeling the signatures of distant wromprates fighting bellow. However, he was trying commune with the spirits. Such was the way of the witch. But A'Runda was a mere novices. With no proper master for him he was on his own most of the time. With the occasional adventure where he tries to learn how other more primitive society's use the Force. Which he often found to be very spiritual in nature. Being in the conference room during the breakdown of the situation A'Runda was constantly wanting to scratch his head over the details being provided. Here he was thinking their universe was pretty super, but now you got cultist hoping between worlds and stealing kids. If he was to be honest it sounded like the conservative fearmongering he heard of decades prior. Except apparently this was for real. Standing in the short line to sign up the Tusken did his best to be more enthused this time around. Last time he was on a KO mission he almost died from giant worms who could turn his guts almost turned to apple sauce with a scratch. Not only that but he lost his lightsaber during it as well. Not to mention the embarrassment of having ripped, dirty clothes after falling into the mud after being paralyzed. In fact the more he recalled the last mission the less he wanted to go to this one. Nonetheless he was at roster to sign up. As he did he looked to Scherezade deWinter and said, "I'll try not to be as much of a screw up this go around." He said with a slight chuckle before getting himself ready to meet up at The Citadel. Edited by A'Runda, 22 January 2019 - 03:11 PM. The deathly witch glanced over to the man that now spoke with her. It was still strange to her that witches could be men in this organization. Back on Dathomir, they were all women, something Fawn had internalized more than most after the endless beratement she received for not being a "real" enough woman. She supposed it was a good thing that men were a part of the Mandragora, as she didn't need to dread what others might think of her if she were ever to let them know about her birth. Regardless of how spiteful any of them could have been, they at least wouldn't deny her the right to be a witch. "I suppose so," she offered. "The force is powerful and may dictate the lives of our Knight friends here, but candles, blood, and tears sound as though they should be handled instead with magicks. Spirits. Do you suppose that the ones involved in these abductions are witches themselves?" It certainly sounded that way to Fawn. Having been raised as one, she was well aware that the best witches were those who were brought into the fold as children. Any number of cults, Sith-related or otherwise, could have said the same, however. Indoctrination was a universal concept. She never cared much for children anyway, content to leave that era of life away from her, but she supposed that it was a different matter when it came to their lives. Some sympathy still remained in her cold, hardened shell of a heart, but it was so often shrouded in fear and spite. Edited by Fawn Alzi, 22 January 2019 - 10:21 AM. The call had not only gone out to the Knights Obsidian. Rhaina Tira, Viceroy, had heard of this meeting as well, and while she had no intention of joining, she wished come and hear what it was about. She was on Geonosis anyway, as part of her monthly visit to bring some files over and see how else she could be of use to the Confederacy, and the chance to listen to a briefing was not one that she was eager to miss out on. The violet eyes of the Kiffar scanned the room as the redheaded Archivist spoke, her mind carefully guarded. Some of the Knights responded with disbelief, while others were visually disturbed by the thought of children going missing. It was strange to her; as far as she knew after looking over the files, Rhaina was aware that the vast majority of those gathered did not even have children. Did they see themselves as part of something more altruistic? Did they believe there was a higher calling? No, despite the recent joining of the Mandragora into the ranks of the Knights Obsidian, it was clear that religion did not reign supreme here. Did they even know though, she wondered. How aware was each and every person in the room to the fact that they were little more than glorified weapons to be used against an enemy that the Confederacy knew nothing about? Meat shields, ready to take the battlefield without even partially knowing what they would be up against, only knowing their special abilities might not work and that it was going to be cold. They'd even gotten the name wrong. But "Winter" was a cute nickname, she supposed. It was a true shame that she had but one path left to take; the path of candle light. Otherwise, she would have perhaps enjoyed joining this little mission, seeing how the knights would figure this one out. Looking at the Knights as they signed up, Rhaina smiled softly. Brave souls. Stupid souls. Did they know that many of them would be not returning at all, regardless of the path? 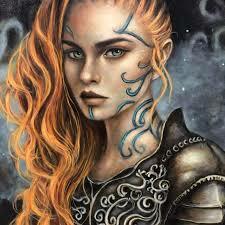 Rising, Rhaina Tira smoothed her business suit down, and turned to leave the gathering hall. If they made it out alive, she would look at the files later. For now, there was work to do. Besides Rhaina Tira, there was another figure which stood in the shadows, silently observing the proceedings while the others talked. Unlike the Vicereine, this figure was clad in full combat raiment, four lightsabers and a longsword hanging from his belt, as well as a combat knife. 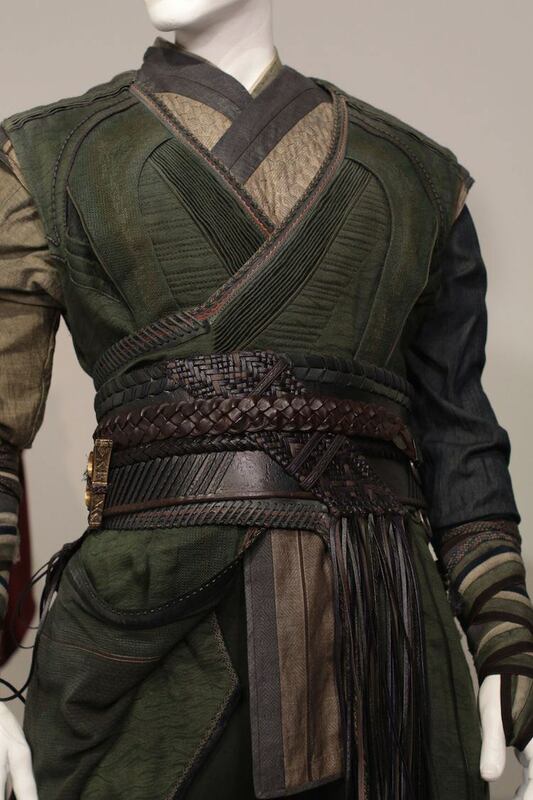 Furs and leathers adorned his figure, some kind of alchemically-altered suit of armor made of chainmail, plate and Tuk'ata skin, accompanied by a heavy, fur-trimmed leather cloak. A hood covered the man's face, though his presence radiated out into the Force like a Darkside beacon of terrible power. He found it curious that the Vicereine was in attendance, she did not strike him as a fighter, but he dismissed her presence as mere curiosity. He focused instead on the explanation provided by the archivist, of the various methods which could be used to access this dimension. Beneath the shadowy privacy of his hood, a pensive frown settled on the man's expression. He found the mixture of what seemed to be sorcery and the technological devices odd, to say the least. It was certainly something he would have to look into, later. He was also eager to get his hands on a few spares and have them analyzed by his own people. He observed the assembled Knights' reactions, perhaps expecting more outrage and indignation. This was not the first time the Confederacy, or the silent Sith Lord had crossed paths with this Cult of Aeshma. The organization had certainly caused trouble before. Ever since Rishi, though, another shadowy group had taken an interest in this cult's activities, a secret society known as the Wardens of the Shroud. So far, their inquiries have been subtle and careful, so as not to attract the cult's attention. But if the Sith Lord could get his hands on a few of those devices, the Wardens' efforts would certainly increase if they could access that dimension at their leisure. But that would have to wait until later. Right now, Tacitus focused on the task at hand. Out of all the available options, the candle sounded like the best option for entry. Judging by the information provided, the weather on the other side could make it difficult to light a candle there and he'd rather keep his other options open, if he needed them. Slitted, cat-like eyes that glowed with a golden inner light sought Madalena's as he gave her a firm nod. "I will help in any way I can," the Sith Lord spoke his first words at that meeting. Any more would be unnecessary, unless Madalena had something else to add. It was cold. Too cold. The Room was big. Not big enough. Even if the room was empty, the topic that the Knight's Obsidian had to face would still have filled it, and more. Kids being kidnapped right out of their own homes, no traces, no bodies, nothing. Impossible, everything left some clue. The Archivists had found that clue, they were taken to another dimension. That seemed even more absurd. Travelling to another dimension. It was impossible, it had to be. This had to be the latest trick by the Confederacy's leaders to try and get the Knight's Obsidian to lighten up. Either way, the Executor had to see it through, joke or not. The costs would've been too great to fake the back stories, records, everything. The kids weren't a joke. He paid no attention to the speech, as soon as he walked into the room, he pushed his way through the crowd, which was relatively easy. Given he was eight foot something, and not exactly a stick. He put his name down, one of the first four. It still seemed crazy. Infact, it was crazy how he just put his name down for this, how optional it was. The whole thing seemed crazy. Travelling to another dimension, I mean, it made sense for it to be optional, especially with the high risk. The other dimension seemed crazy, always snowing, always freezing. The pathways to it were completely unrelated, a candle, a drop blood, and a tear. No amount of explaining could convince him they were all relevant to the next dimension. He spent most of the time sitting in a corner, paying the speech no attention, just thinking. He wasn't in a relationship with anybody, he didn't plan to be in one. Despite the comment a female he didn't remember the name of had made of him. Something about most females would love him, an eight foot, muscular, Sith Lord, Mandalorian. He didn't take too much note of it. But thinking about it, he looked around, a few people were passing glances at him, some were staring, but nobody was drooling over him, from what he could see atleast. A decent half of the people in the room were wearing helmets or masks of some kind. He turned his head back down, thinking. The only relationship that he ever had, that meant anything to him, was with his baby Ouroboros Krayt Dragon. The she-devil he'd named Lilo, and nicknamed Dawn, because that's when she liked to wake him up. As soon as you could see light. It was hard to believe he got any sleep, with when he went to bed, and when he woke up. She was cute, and damn near crushed him half the time. Apparently he was her favourite bed, not the actual bed he slept on. No, no, he had to learn to sleep with a big scaly puppy sleeping on him. He looked around again, trying to find anybody he recognised. As if on cue, the speaker announced the leader of the mission, Madalena Antares (Scherezade deWinter). He remembered the name from the Fall of the Fortressa. He looked around, and saw her face, enough to trigger a few memories from the battle. He remembered seeing her on the security camera, which reminded him of the four Commandos that had pinned him in there. He was then reminded of the path they carved together, the paths they carved without each other. The fight was glorious, droids were so easy to cute through. Barely any inconsistency, like the bones, flesh, muscles, etc that organics possessed. He remembered her doing some short of super force power, destroying an entire room, he remembered how he watched her get thrown into the reactor by a giant droid, how he thought she would be dead from the impact. The speech had ended while he was reminiscing on history. He got up, his armour ran a systems check, turning up green signals, everything at 100%. He'd got a new set of armour after the Fortressa, his old one had been bashed up pretty good, and his sabers had stopped working too. So, he built two new ones. They took the same shape and style as the old ones, crimson blades, roughly standard Knights Obsidian design, slightly modified. But, the main difference was that they had two blades, not like a dual saber, more like Exar Kun's lightsaber. A single bladed hilt, with two blades in it. It had taken him a while to complete, and get used to, but it'd worked. Said lightsabers were on his belt, clipped on. He started walking around, looking for people to talk to. Deep down, he knew something would go wrong in the mission, he didn't know what, or how. But he just knew it would. He had a bad feeling about this. They come. We don't like them. What do they have that we don't? Why do you listen to the Spirits? They will lead you astray. They will lead you to your death. Wake Kasca. Wake Kasca. Wake Kascaaaa. NO. Remain asleep. They will not get her then. Idiot, she already stirs. Kasca shifted in her bed, feeling the pressure of the voices even as sleep started to fade. What they had said remained a mystery. Only the pressure of their discussion somehow remained. No, she pouted, and I had been having such a good dream too. She opened her pale blue eyes to the darkness of her room. The voices, so persistent before had somehow decided silence was the best policy and she wondered why. It was never a good sign. "Lights." She said and the room quickly illuminated. Naps were precious few these days and she had always enjoyed them. Kasca sighed in resignation to facing the rest of the day and was about to sit up when the Spirits came to her. Unlike the voices, the spirits were like a gentle breeze in her mind, an accepting presence that did not oppress. "You are needed. Geonosis. Go. Now." The insistent voices said and finally ended in a whisper, "Winter." And unlike the voices, Kasca listened when the Spirits called to her. She quickly got up, ransacked her room for winter gear and made her way to the transport to Geonosis. The young Mandragora got there just in time to slip in the back as the woman in front spoke about the mission for the Knights Obsidian. She had to smirk. It seemed that the Knights Obsidian would not be the only ones present for such a mission as this. The spirits had willed it and so she would answer their call. She was their creature or Darth Metus's. When the time came, the small pale Arkanian woman stepped forward without much preamble and signed her name on the roster with everyone else's who had stepped forward. She was Mandragora of the Jart Pact. Her talent lay in her mind, despite the hindrance of the voices and she knew full well she may never return from this alternate dimension. Edited by Kasca Fen, 24 January 2019 - 04:26 PM. "I have no idea," Asher answered the question truthfully. "This could be the work of some cult or offshoot of something else. Traveling between dimensions is not an easy task and messes with the laws that the Force itself refuses to mess with." That was the thing about magick, it broke the rules. Some frowned upon it, others embraced it. Asher embraced it. Those who chose to remain ambivalent to how it worked did not seem to be the kind to be interested in the force either. Among the Confederacy the witches found a home that accepted their practice, and Asher had seen his mind opened to the way universe truly worked. While he had once trained under a Jedi, Asher now followed Lylek. He knew his role, and he would do what he had to. Another witch joined them, seeming to go directly to the roster. Asher followed suit before he would find himself left behind. A nod excused from Fawn Alzi for a moment, and another nod regarded Kasca Fen. It is good to see more of ours joining. The Spirits seem interested in this outcome." Ithiel was industrious with his time. As the others mingled in the briefing room, the young Vi’dreya was busy at the staging area. He was setting up whatever last-minute testing equipment would help them. If someone went through and a single piece of gear wasn’t working, maybe they could get a message back before anyone else did. The avid engineer had laid out a few options. Comm pieces, simple switch triggers to send a single 1’s and 0’s in code, and also a few different recording devices in case anything got through. None of the techs were optimistic anything would reach back here. Better to try and fail than not give it a shot at all. All laid out to take for anyone that arrived. Along with a set of simple large knives, one for each of them. For his part, he was packing blankets, thermal gear, a small shelter kit, and breathing masks for another kit bag, as well as the best damn medical kits he could scavenge up. If they got there and couldn’t breathe the air supply, or were hit by some exotic virus, this was going to be one short trip. In the end, Ithiel ended up with two large kit bags full, and all the rest of the gear laid out ahead of them. On the table ahead the crusader was field testing whatever engineering tools the techs recommend, going for the simplest options possible seemed the best idea, as well a set of simple knives. The more basic the weapon, the more likely it'd survive the trip, that was sensible to him. If they got out there and the force didn't work, the tech didn't work, at least they'd each have a blade in their hands. Extra weapons and tools in a kit bag. x2 Including basic engineering tools, thermals, medkits, equipment for a Shelter, several breathing kits and a set of knives. Edited by Ithiel Vi'Dreya, 24 January 2019 - 08:35 PM. Lifting her gaze to meet the new arrival, she shrugged at Asher's nod and opted to rest her head on her arms, her eyes still looking sideways towards the two witches. While Asher may have been a perfect fit for her definition of a witch, Kasca was different... Much of the Mandragora was a mixture of all kinds of witches, most of which modernized and mixed into the greater society at large. Fawn herself had succumbed to the galaxy's many conveniences as soon as she had left Dathomir, although she had never truly integrated. She wondered how much of that was in Kasca, how loyal she was to the Confederacy or even the Mandragora over her own dark inclinations. No matter what anyone in that room was more inclined to, she would always have the consistency of not liking any one of them, and she would hope that they would all learn to feel the same. The only ones to be worth her time anymore were the witches and the dead. Madalena remained quiet as Aofie gave the briefing. There wasn't much for her to say anyway; she'd heard and read all this information hours before, when the opportunity to lead the mission had been granted to her. Opting instead to remain in her chair and silent, glowing green eyes scanned the room, seeing the reactions of those who were gathered there. She couldn't deny that this mission somewhat unsettled her. This was something they had not dealt with before. The rules were all different. The rules didn't even remain constant in any way that she could understand, and neither did the Archivists who had been studying this alternate realm thing. It was all this might happen and that might happen with a serving of but we're not certain on top. It was so much easier to just have her enemy pointed out to her and then go and try to stab it. Three ways to get there and back; only two that could be used. What was she supposed to do if anyone got stuck on the other side, accidently used the third way as well? How did those roads thing even work? Why did each even work once? She'd asked all those questions earlier, but it seemed that there was no answer, not even now, when the high uppers had decreed that the information was sufficient to semi blindly send in a bunch of Knight Obsidians. And- No. They weren't "and" anymore. The Mandragora had been assimilated into the Knights Obsidian. No longer a different group, Madalena was going to have to overcome her discomfort around those people. If nothing else, they were now battle brethren, and she would work as hard as she would for the others to make sure as many of them came back alive as was possible. And there were so many faces here that she did not know, did not recognize. Were they all Mandragora? Every time someone new signed up on the roster, Madalena glanced at her datapad, reading the information that was available to her. Some were, some were not. But they were all going to have to work together. There was no other way. Looking at Pathfinder Yumi (Kurenai Yumi), Madalena kept her facial expression pleasant. She couldn't shake the feeling that inside the few compliments there were also a few attempts at nabs below the belt, but now was hardly the time to give them any sort of attention. "The children come first," she agreed with a nod. That was, after all, their mission – rescue the children. Looking over to the tall woman (Nine Lives), she nodded again. She remembered her though, but only now did she have a name; Nine. They had fought each other off in the arena during that silly war game of chitz and giggles. She knew her weakness. Madalena flicked her fingers a few times across her datapad and seconds later, one of the Knights Obsidian who worked on another floor came storming in to hand her a package. Madalena took it delicately, and walked to the tall woman. "We don't know what we're going to face in Winter," she said, handing her the package, "if it something that can make loud noises, this is for you. I want you back safe and alive like the rest of us." Next came a salute from a Mandalorian she did not recognize either (Ithiel Vi'Dreya) but she knew by the scent of his blood who his father was, and she saluted back. She knew, as anyone else, that the Vicelord had sired many children. Her luck so far had been great, as she'd only come across the successful and strong ones among them, and she hoped that this one would be on par with the rest of them, if not better. Before turning to the group of Mandragora, Madalena was approached by a Tusekn that she did not (A'Runda). "You were not a screw up last time, A'Runda," she said softly, clasping a hand on his shoulder for the briefest of moments, "you were new, and you made a few mistakes, but you fought through all of them and never gave up. You're exactly the sort of person I want on a mission like this – someone that does not give up even when things get hard and don't go according to expectations." And then there was Mr. Grabbyhands (Darth Tacitus). Normally, Madalena would have been more comfortable not being around him, not since the incident in which he'd so randomly grabbed her arm and it had almost ended in her attempting to slit his throat. Still, they would be on their best behavior during this mission. If she was not mistaken, he was also the only one among them that was not part of the Knights Obsidian that would be joining. Madalena offered him a nod. Looking at Taramaz Laurs, she smiled. They had worked together on Triffis. She knew what he was capable of. His was a trusted blade. And that left her with the group of Mandragora (Kasca Fen, Asher Mossa, Fawn Alzi). She knew so little of their culture and ways, though she knew a handful of Witch Spells herself. But how did they operate on a field of battle? Would they even have time to utter their spells? Would their spells even work in that dimension? Putting her most welcome face on, Madalena walked to the three of them, offering them all her warm smile. "Hey," she greeted them, "this will be the first time I get to work with Mandragora. I'm looking forward to it; I hope we'll all be even more amazing together than what we were when we were apart." There was enough time for a handful more of sentences; but after that, it was time to go. Madalena returned to the podium and looked at the people that had gathered. "Open roads and safe travels," she sort of blessed them all, pulling a phrase from a story she had heard so long ago and could remember nothing more of it, "We will gather on the other side." With that, Madalena Antares clicked the button for the Road of Tears. Within moments, a single tear rolled from her left eye, and she vanished into thin air, as though she had never been standing there at all. OOC: Feel free to finish your conversations before you jump on the road. We'll start the Winter section in a day or two. If anyone else wants to join the thread in the meantime, you still can! As Madalena Antares had taken the first step and left, Aoife was joined by other Archivists. The three clasped their hands with each other and began to chant. The people gathered in the room, all those that had signed up for the mission and gathered the equipment, would feel for a moment something warm and safe caressing them. It was the protection that the Knights Obsidian had to offer. The protection was time-limited; they would have a day in Winter, at most, to bring the children back, and to make it back on their own. If the mission took longer… The Knights Obsidian would have to find a way to fend for themselves on the other side of the Paths. Edited by Scherezade deWinter, 25 January 2019 - 05:33 AM. "Always", she gave Madalena one last nod before the two broke off, the more or less second in command of the Knights going about the others who had gathered. It was quite the crowd, such being a good thing, but also revealing just how problematic such a situation was, they could not afford to fail here, for themselves, the CIS and the children. As everyone assembled she briefly looked around, focusing on those she knew the most, Nine Lives being the first to focuses on. It had been some time she she had talked with the women, hopefully the family resentments had been cleared up by grandmother, she'd hate to have the need to watch behind in case of some sort of betrayal. Weaving through the crowd she went to address the other vampire, giving her a small bow when within arms reach. "Greetings Ni Ne, it has been a while since we last saw one another, I trust that things have been well with you, quite a bit of time has past since the two of us have talked"? One could never really know what the ancient being did in her spare time, some rumors stated she ran her own cult of converted Knights, grandmother often just said she went around doing her own thing on rim worlds. The only thing Kurenai could be certain about was the fact Ni Ne held considerable strength, something they would need to fully undertake this mission at hand. "I wish you luck on this mission, though there is a chance our regenerative powers do not work on the other side, it be best to not do anything reckless", she replied, turning around slightly as Madalena began her small speech. "Well time is short I guess we will see each other on the flip side, or what ever it is that young people say these days". With another bow she departed from Ni Ne, congregating with the main group as the 'gate' to the winter was opened, Madalena being the first to enter through. It was now or never, with the new warmth like feeling causing through her body Kurenia took the step, clicking on the candle button, using her pyrokenisis to alight the flame before vanishing into the white waste land. It hadn't just been the conquest of Atrisia that had rattled Nine emotionally speaking. It was this woman. Nine flinched, watching Riggs body hit the dirt, his infected eyes staring up into the sky as the gunshot that killed him rang out in her skull. She struggled not to shudder, barely composing herself as Kurenai Yumi approached, offering her a bow, the twitching Arch Psy-Pire took, nodding graciously. "Thank you, Kurenai. Been a while since I've used a bow...and...well...I'm glad to see you are doing well" Nine remarked in her typical heavy contralto. Kurenai seemed a nice enough sort. For a fellow vampire, most of whom Nine quite thoroughly hated, especially after losing Bobbi. But Kurenai was nice. Okay, so maybe there were two vampires besides her own species Nine didn't hate. Nine hefted the small bow and secured it to a harness on her back, and took a quiver of arrows from a nearby rack of equipment, and picked up one of the large knives Ithiel had left out for everyone. She tapped the blade, hearing the metal sing. She swished it through the air. "Niiiiicccee...one can never have too many knives laying around. Everything is better with knives...except card games...oh screw it, they're good with card games too!" she snickered as she secured the free knife, feeling the magic of the three chanting work on her, filling her with warmth. With out further delay, she decided to pick the path of blood, and the machine attached extracted a tiny drop of lavender-colored blood from a heart recently hardened by the loss of her firstborn. Now she knew what it was like to be Darth Metus. And appeared in a dark room of frosted over stone and ice sickles, having no clue where she was. Nine tested her adhesion abilities...she could not stick to any of the walls. She tried to let loose a discharge of psychic energy from her hand, which normally released in a manner similar to Force Lightning, but deeply purple...nothing. "Uh ohhhhh..." Nine remarked, drawing her sword, the biting cold wearing against the protection imparted to her. The vampire began to move forward, slowly and quietly, ready for anything. Edited by Nine Lives, 25 January 2019 - 05:58 PM.